WWE SuperCard by 2K Games may not be an actual fighting game like 2K’s WWE 2K paid title, but it can be quite fun, quite addictive, and quite challenging as well. This is a card-collecting game where you can collect from over 400 different cards, and by that we mean WWE Superstars, and even foreign objects like chairs and the “WWE Universe” (wrestling fans). It’s a player-vs-player game which requires an Internet connection, and if you’ve got a strong enough deck, you can join the King of the Ring tournament, a 16-person, multi-day tourney that could net you some big rewards depending on your rank. So what’s to do if you’re looking to get that push to the top? 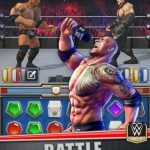 Read on and check out our WWE SuperCard cheats and strategy guide. 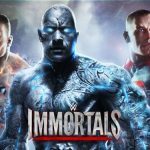 When you’re starting out in the game, you’ll want to look for the “jobbers” of WWE SuperCard – by this, we mean those guys who lose more matches than they win. Typically, these players’ decks aren’t strategically arranged, which means you can easily do away with them and practice your technique for tougher, more experienced opponents. As the term suggests, you really wouldn’t want to hang on to your Common Cards for too long. And you wouldn’t want them taking up a regular place in your deck. Instead, Common Cards should ideally be used when you’re trying to level up higher-ranked ones and make them stronger. Sacrifice those cards toward making Rare and other card types stronger, and you’ll make your way to their respective level cap before you know it. This isn’t something you should be doing all the time, but if you have multiple versions of Rare and Uncommon cards, then don’t let the duplicates take up much space. Instead, use them to make your stronger cards even stronger. Earlier, we talked about foreign objects like chairs and even the WWE Universe having cards of their own. We weren’t kidding – these are what you would call Support Cards. Select these cards before selecting a wrestler if you’re up against a tougher opponent than you expected, and need to have an edge in a certain category you need to win. Managing your deck could get a bit tricky, but one good way to go about things is to make sure you have at least eight Rare Superstars or Legends, and at least two Rare Divas. This would come in very handy in King of the Ring tournaments, which would require you to have several powerful cards in reserve for best chances of winning, and so that you can have some guys (and girls) to substitute in should your main roster get tired after a match. No, we’re not dropping this popular catchphrase for the heck of it – you should really give your Divas a chance by training them. You’ll have a Divas match in almost all games, and having a powerful Diva card that’s highly trained could be the difference maker your opponent wouldn’t be expecting.